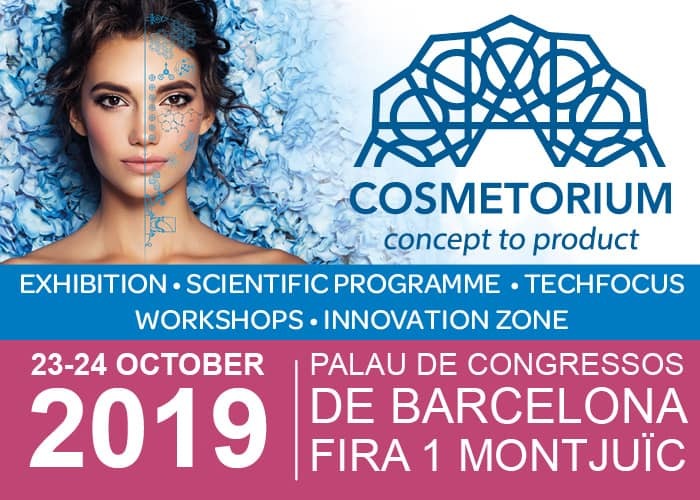 Cosmetics (ISSN 2079-9284; CODEN: COSMCC) is an international, scientific, peer-reviewed, open access journal on the science and technology of cosmetics published quarterly online by MDPI. High visibility: Covered in Chemical Abstracts (ACS); to be indexed in Scopus from Vol. 5 (2018). Rapid publication: manuscripts are peer-reviewed and a first decision provided to authors approximately 16.3 days after submission; acceptance to publication is undertaken in 5.6 days (median values for papers published in this journal in the second half of 2018). Phytomelatonin (PM) gained the greatest interest for its application in agriculture and its use to improve human health conditions. PM based supplement has been shown to possess antioxidant capabilities because it functions as a free radical scavenger. Reactive Oxygen Species (ROS), induced by [...] Read more. Consumer awareness about the damages that plastic packaging waste cause to the environment, coupled with bio-economy and circular economy policies, are pushing plastic packaging versus the use of bio-based and biodegradable materials. In this contest, even cosmetic packaging is looking for sustainable solutions, [...] Read more. Some vegetable oils have many biological properties, including UV-absorbing capacity. Therefore, their use has been suggested to reduce the content of organic UV-filters in sunscreen products. In this work, we investigated the feasibility of developing oil-based vehicles with a high sun protection factor [...] Read more. (1) Background: The objective of this work was to elucidate the hair microstructure which correlates with the stiffness of human hair fibers. (2) Methods: Bending moduli of hair fibers were evaluated for the hair samples from 156 Japanese female subjects. Hair transverse sections [...] Read more. Inspired by the iron gall ink that has been used since the Middle Ages, we formulated a hair-dyeing solution for blackening hair. The ingredients in the formulation have been approved as cosmetic ingredients, including tannic acid, gallic acid, and Fe(d-gluconate)2 [...] Read more. 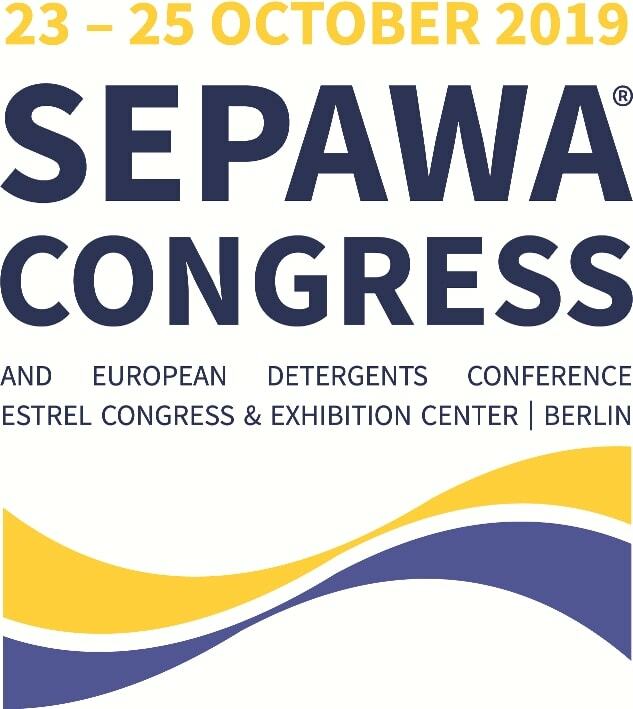 (1) Background: Fragrance sensitization is common in Italy and their constituents are used in many cosmetics and detergents. The objective of the study was to analyze the temporal trend of sensitivity to fragrance mix-1 in northeastern Italy and to evaluate gender differences; (2) [...] Read more. The Chaenomeles sinensis fruit is used as an effective antitussive agent, analgesic, and diuretic in traditional Chinese medicine. It has been reported that C. sinensis fruit extracts have antimicrobial and anti-inflammatory effects. However, there are very few reports about the effects of C. [...] Read more. The epidermal barrier function is disrupted in various inflammatory skin diseases. Accurate methods to measure skin barrier function are needed to assess the effect of therapeutic agents. Therefore, we developed a noninvasive multiparametric approach to measure four different parameters regarding the skin barrier. [...] Read more. Skin hydration is a complex process that influences the physical and mechanical properties of skin. Various technologies have emerged over the years to assess this parameter, with the current standard being electrical probe-based instruments. Nevertheless, their inability to provide detailed information has prompted [...] Read more. 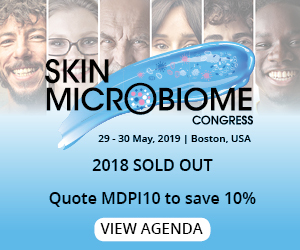 Is There a Relationship between Transepidermal Water Loss and Microbial Biodiversity on the Skin? As described in previous work, TEWL (transepidermal water loss) is used as an indicator of skin barrier function and health by scientists at top research institutions. However, it is known to be unreliable because many other factors determine its value, such as humidity, [...] Read more. Sargassum glaucescens is a marine brown alga with high antioxidant activity. To evaluate the potential application of Sargassum glaucescens extracts (SGE) in skincare, we performed in vitro assays in dermal fibroblasts and epidermal keratinocytes. The antioxidant activity of SGE was confirmed by the [...] Read more. An electrospinning technique was used for the preparation of a bilayered wound dressing consisting of a layer of aliphatic copolyamide nanofibers and a layer of composite nanofibers from chitosan and chitin nanofibrils filler. Processed dressings were compared with aliphatic copolyamide nanofiber-based wound dressings [...] Read more. Background: Melasma is a common hyperpigmentation disorder, characterized by light-to-dark brown patches, usually distributed on sun-exposed areas of the body. The objective of this study was to evaluate the efficacy and tolerability of an oral nutritional supplement containing Pinus pinaster and Grape seed [...] Read more. Overexposure to sunlight is widely accepted as the underlying cause of cutaneous melanoma. UV radiation induces the formation of DNA photoproducts that, if unrepaired, can induce carcinogenic mutations. Recent data indicate that sorbates can be useful to widen the protection against UV radiation [...] Read more. Hair is an important part of the body appeal and its look is a health indicator. Accordingly, recent advances in hair science and hair care technologies have been reported in literature claiming innovations and strategies for hair treatments and cosmetic products. The treatment [...] Read more. One of the most complex problems in hair care formulations is the duality of the surfactants used. In this regard, such surfactants must be cationic so as to interact with the negatively charged cuticle surface of hair. However, these interdependencies typically lead to [...] Read more. Sun exposure can affect the skin in various ways leading to short- and long-term consequences. Waxes are often used to optimize the rheological behavior of products and provide an even sunscreen film on the skin, which can boost the sun protection factor (SPF) [...] Read more. Cosmetic products are generally formulated as emulsions, ointments, solutions or powders containing active ingredients. According to EU legislation, a cosmetic product is “any substance or preparation intended to be placed in contact with the various external parts of the human body with a [...] Read more. Melanogenesis is a biosynthetic pathway that produces the pigment melanin in human skin. The catalyzation of the key enzyme tyrosinase is the first step in melanogenesis, and the downregulation of tyrosinase enzyme activity is the most reported method for inhibiting melanogenesis. Hyperpigmentation is [...] Read more. When it comes to the development of new active ingredients for cosmetics, biodiversity is a rich source for inspiration that must be tapped in a sustainable manner to cause no social nor ecological damage. Agri-food by-products are therefore more and more considered as [...] Read more.